Get ready for some outrageously cute letter v crafts perfect for a letter of the week unit for toddler, preschool, and kindergarten age kids. Printable V is for volcano Letter Craft – free template to print, color, cut, and paste / tape. This super cute v is for vacuum letter craft is so cute! This fun-to-make V is for Vehicles letter craft from the Lion is a Bookworm is sure to be a hit. 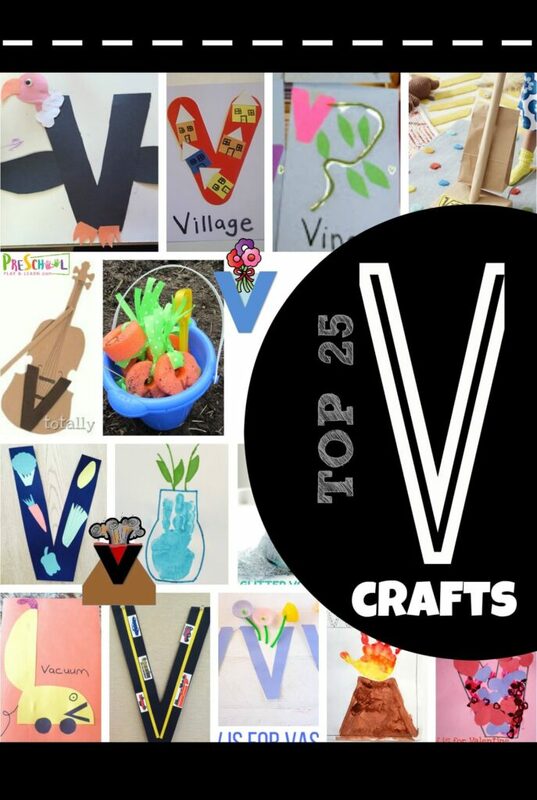 Printable V is for vase Lowercase Letter Craft – NO PREP! Just print free printable, color, cut and paste these cute alphabet crafts. V is for Volcano Hand art project that is SUPER cute! Adorable DIY vacuum cleaner craft out of cardboard boxes!